If a photo is worth a thousand words, a scrapbook is worth millions. These collections of photos, gathered and decorated, serve as a time capsule; a visual memory lane to look back on and treasure. The value of these memories is not lost on the Choice family at Ellendale. In fact, for the past several years the team there has made it a practice to preserve their community’s milestones in a unique way. Every day, they comb through the newspaper, cutting out articles and photos of customers and non-customers alike. Then they send them, laminated, to those individuals. The photos might be from sporting events, graduations or open houses. This practice has sparked gratitude from the community; often they hear of the photos being hung on the fridge or even framed. Cary, the mother of a high school senior, approached Holly at a basketball game. Over the years Cary had received many of the Choice laminated photos of her son’s athletic events. She laughed, and Holly did too. But inside, Holly’s wheels were turning. She had a mission. Step one was to get the okay from her manager Jeff, to use some resources to buy scrapbook materials. He said the usual, ‘of course.’ Holly then contacted the local newspaper to see if they could send reprints of the photos of Cary’s son. 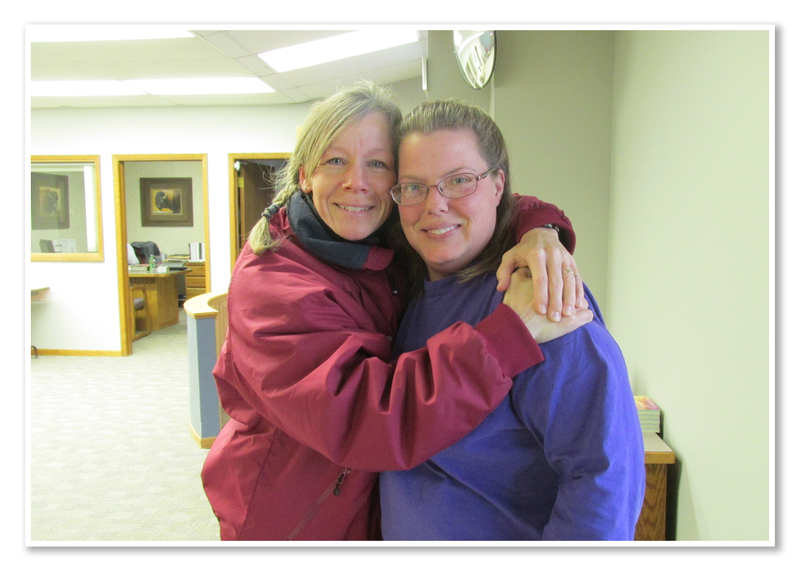 Not only did they agree, they sent her full color copies of the photos for free. Armed with the necessary materials, Holly went home to recruit her daughter’s help. Her daughter has helped with many Choice events, including dressing up as a cow and a camel for various reasons — but that’s another story. 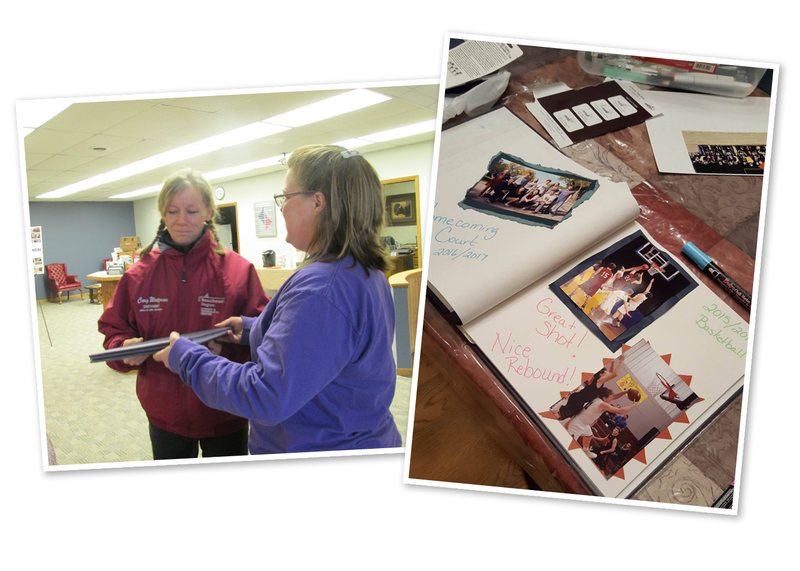 Together, mom and daughter spent an hour every night for a week scrapbooking. The photos spanned from 11th to 12th grade, depicting scenes from his basketball, baseball and football games. They arranged the photos with words like “You did it!” and “Great shot!” Holly was sure to leave some extra pages too, so Cary could continue the scrapbook. A week later, it was done. Holly brought the scrapbook into the office and asked everyone to sign it. Diane Henningsen, Frontline Operations Manager, was moved by the fact that Holly had taken the time to create such a thoughtful gift. When Cary came to pick up her “surprise gift,” Diane was ready with the camera. But she wasn’t ready for the emotional response. Diane and Holly felt tears rising as well. Hugs were exchanged all around. “I don’t think I’ve ever had that many hugs all at once,” Holly said, laughing at the memory. It was not the first time Holly has connected with someone in a creative way, and it won’t be the last. Thanks for your work Holly; a scrapbook is worth a million words, but you’re commitment to putting People First is one in a million!